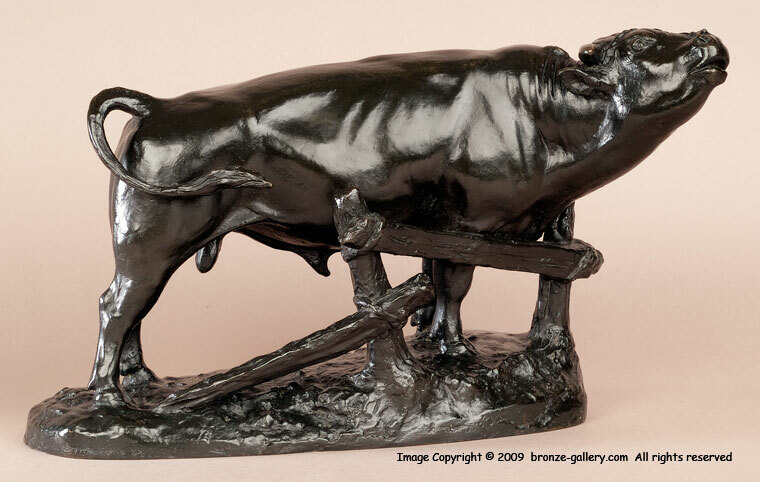 Roth was one of the foremost American animal sculptors of his time. He was known for his portraits of dogs and other domestic animals. This large bronze of a Bull by a fence could be a commissioned portrait of a prize winning Bull because it is a Short Horn Bull. The Bull leans against the fence and stretches his neck out, while he swishes his tail. 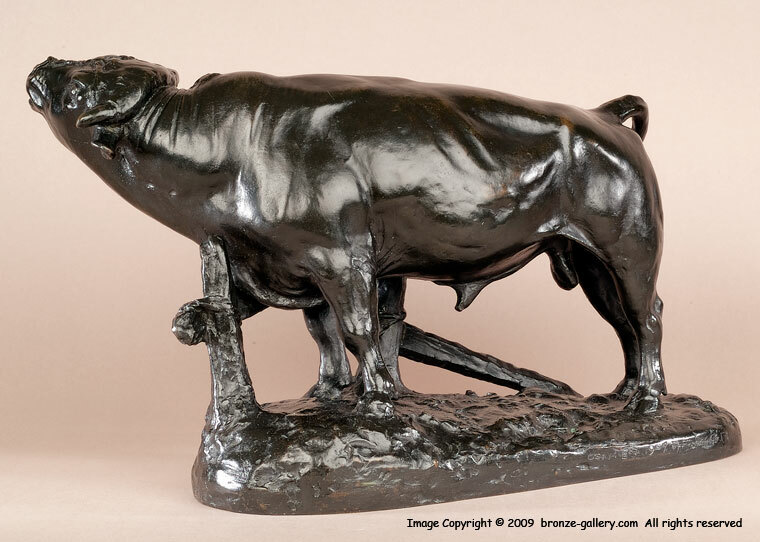 The bronze has a dark brown black patina and is signed and dated 1907, it is cast by Roman Bronze Works NY and marked underneath as cast number 1. A fine bronze by one of America's best Animalier sculptors.